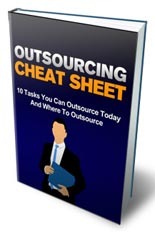 Discover 10 Tasks You Can Outsource Today! Leverage Your Time And Start Using The Power of Outsourcing! Follow us to get the Early Sneak Preview. Fast Delivery. Very pleased with the product. Thank you. Can you please just make this blog post a little longer and a little more fun and interesting to read? The reason for the blog is to educate, inform and interest people in my smartphone, smartwatch, and web apps that allow users to retrieve web content by voice command. Content can include personal photos, videos, notes, documents, and their favorite webpages. So voice commands, like the topic of this article, are public - available to all users of the apps. The idea is to wet their appetites and hope they will begin to create their own (private) voice commands. Yes can be done, PM sent. What if I already know about all these Sources? Also, what if I have additional Sources and Tips to be added to the List that are better? Whith sources that also offer Affiliate Programs for their users? It was created more than three yrs ago, based upon research, on freely available information during that period of the time. SEOClerks Outsourcing Cheat Sheet is ranked 5 out of 5. Based on 4 user reviews.